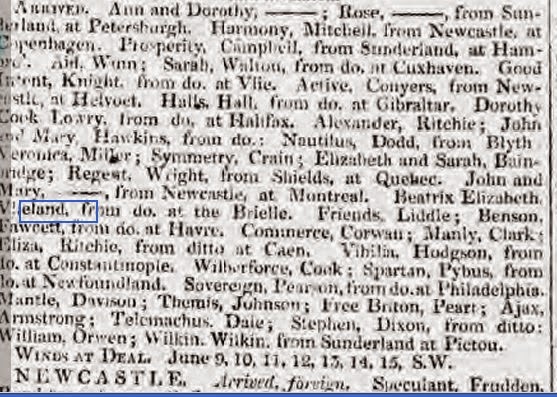 On the 19th of June 1819 we find them again . 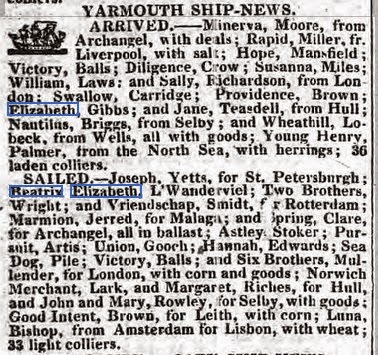 It is 1819 when the Beatrix Elizabeth is arrived in Newcastle from Rotterdam But who is the captain? Jeroen Vlieland is 75 by now. Jeroen Aldertsz VLIELAND, gedoopt (RK) te Noordwijk op 04-02-1745. Jerome Nicolas Vlieland is 23 by now .He advertises in the newspaper in 1822.Could he be the captain ? Or is it one of his uncles ?